John wears some unique hats. He created, and operates and oversees, our firm’s practice dedicated to watching for and policing mark infringements. LELG has built (and constantly improves) unique practices and methods for conducting this work, which methods and practices it treats as a trade secret and uses to serve its watching/policing clients. Since 1998, he has written a monthly column, Leading-Edge Law, for the Richmond Times-Dispatch on breaking legal issues in fields of intellectual property, technology, high-tech and related fields.To our knowledge, he is the only lawyer in Virginia that writes such a column for a general circulation newspaper. He is the co-founder and moderator of the annual Virginia Information Technology Legal Institute, which is the flagship program by Virginia CLE on intellectual property and information technology law. Every year he writes and presents the recent developments in trademark law. The 19th annual program occurred on October 12, 2018. He is the co-author and co-presenter of the flagship program by Virginia CLE on the basics of licensing law: “Intellectual Property and Information Technology Licensing for Transactional Attorneys.” The latest iteration of this program was presented live on June 15, 2016. He is the co-author and co-presenter of the flagship program by Virginia CLE on the practical application of IP Law: “Analyzing Commonplace IP Scenarios.” The latest renewal of this program was presented on April 28, 2017. John devotes his practice entirely to intellectual property and technology issues. He works exclusively with corporate clients to identify, form, protect, and license intellectual property. Representation of several publicly traded companies and other large companies in nationally watching and policing of their mark rights. Representation of corporate clients, including advertising agencies, in trademark strategizing, trademark infringement monitoring, trademark policing, clearing potential trademarks, prosecuting federal trademark registration applications, maintaining registrations, and coordinating foreign trademark registration applications and maintenance. Representation of large, publicly traded companies in the drafting and negotiation of over 100 software licenses, software development, application service provider, technology services, employee confidentiality/intellectual property, and other e-commerce agreements. Representation of a software company in commercializing its software worldwide, including preparation of a comprehensive scheme of license agreements. Representation of a large, publicly traded company in outsourcing to an Indian technology services firm. Representation of corporate clients in corralling intellectual property rights in its new products, strengthening those intellectual property rights, and licensing them or the products utilizing them. Representation of corporate clients in maximizing and registering copyright protection for websites and other creative works, and fending off copyright infringers. Counseling of corporate clients regarding open source software issues. Advising corporate counsel on intellectual property issues in mergers and acquisitions and assisting in due diligence in such transactions. Trademark and service mark infringement, and unfair competition. Copyright infringement and copyright abuse. Past Chairman, Trademark Public Advisory Committee of the United States Patent and Trademark Office (2008-2011;appointed by the U.S. Secretary of Commerce). Past chairman, Board of Governors of the Intellectual Property Section of the Virginia State Bar. Past president, Greater Richmond Intellectual Property Law Association. Past vice chairman and section council member, Virginia Bar Association Intellectual Property & Information Technology Law Section. Former member, the Advisory Committee on Intellectual Property Issues to the Virginia General Assembly’s Joint Commission on Technology and Science. Past founding member and past master, Thomas Jefferson Intellectual Property Inn of Court. Former member, Virginia State Bar Special Committee on Information Technology. Past chair, Judicial Selection Committee of the Virginia State Bar. Virginia CLE (the continuing legal education arm of the Virginia State Bar); frequent speaker, and co-founder and co-moderator of its Information Technology Legal Institute. Virginia State Bar (at its Annual Meeting) and the Fall Weekend Seminar for its Intellectual Property Section. American Intellectual Property Law Association (twice at its Annual Meeting, including a plenary session). Direct Marketing Association, Richmond Chapter. Caucus Annual Meeting (an association of technology procurement professionals). Georgetown University Law Center’s Annual Advanced Computer and Internet Law Institute. Greater Richmond Intellectual Property Law Association. Richmond Bar Association, including its Corporate Counsel Section. University of Virginia School of Law, Society of Law and Technology. University of Virginia McIntire School of Commerce, for its masters program in the Management of Information Technology. University of Virginia Darden School of Business. Virginia Commonwealth University’s Office of Technology Transfer. Chambers USA recently released updated rankings for its 2018. Chambers USA bases its evaluations on interviews of other lawyers and of clients. It tabbed John Farmer as being a recommended IP lawyer in Virginia. Chambers has recommended John Farmer every year since 2005. John Farmer has been listed in the 2019 Best Lawyers in America in the field of intellectual property law, specifically in trademark law, copyright law, trade secret law, and IP litigation. This ranking is based upon a confidential peer-review survey of other intellectual property lawyers. Best Lawyers in America also listed John in intellectual property law every year since 2007. Best Lawyers in America named John the 2013 Trademark Lawyer of the Year for Richmond, Virginia. He also won that award in 2012. Best Lawyers in America named John the 2014-15 Copyright Lawyer of the Year for Richmond, Virginia. It did so again for 2017. John Farmer has been tabbed as a top intellectual property attorney in the 2017 Virginia Super Lawyers. Super Lawyers.com and Richmond Magazine produced this listing jointly. The listing is based upon approximately 19,000 ballots to Virginia lawyers plus research done by the listing producers. Attorneys were not permitted to nominate themselves in the polls. John also has been listed every year since 2006. 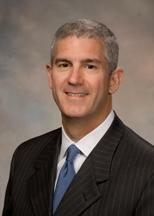 Virginia Business magazine profiled John Farmer as a top Virginia IP lawyer in its 2008 “Legal Elite” poll. Virginia Business based its listing on ballots from over 1600 Virginia attorneys. Virginia Business profiles only one attorney in each practice area, and states that each profiled attorney was in the top ten in voting in that practice area. Virginia Business listed John as one of the top intellectual property attorneys in its 2018 ratings, based upon a survey of lawyers. John has been included on this list every year since 2002. Bachelor of Arts, University of Virginia, 1985. Juris Doctor, University of Virginia, 1988. Clerk, for the Honorable Donald H. Kent, the Honorable Donald M. Haddock and the Honorable Alfred D. Swersky of the Circuit Court for the City of Alexandria, Virginia, 1988-1990. Clerk, for the Honorable Donald S. Russell of the United States Court of Appeals for the Fourth Circuit, 1989-1990. Clerk, for the Honorable James C. Cacheris of the United States District Court for the Eastern District of Virginia, 1990-1991. Prior to founding this firm in 2002, John was a partner in the Richmond law firm Mezzullo & McCandlish, PC.